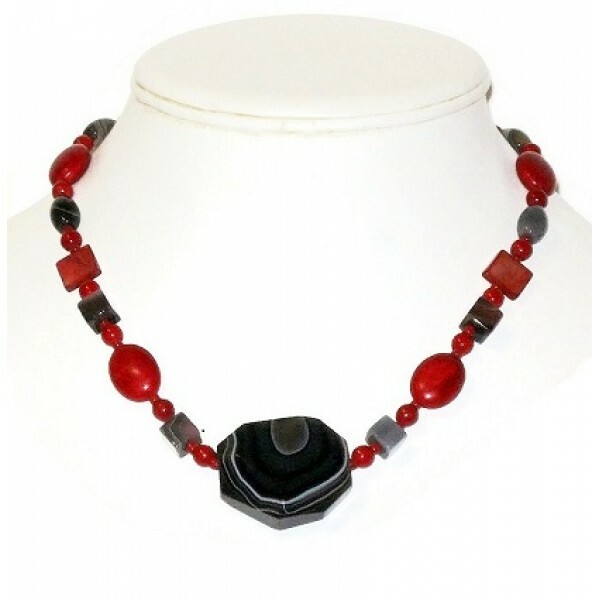 Make a statement with this unique gray and red necklace that features a faceted botswana pendant and is accented with Swarovski crystals, assorted botswana agate, jade mother-of-pearl and magnesite beads. It has a silver-plated lobster clasp closure, and measures 18 inches. Give a nice touch to your outfit with these red and gray earrings. They consist of mother-of-p..